Tell me about your wedding photography experience. 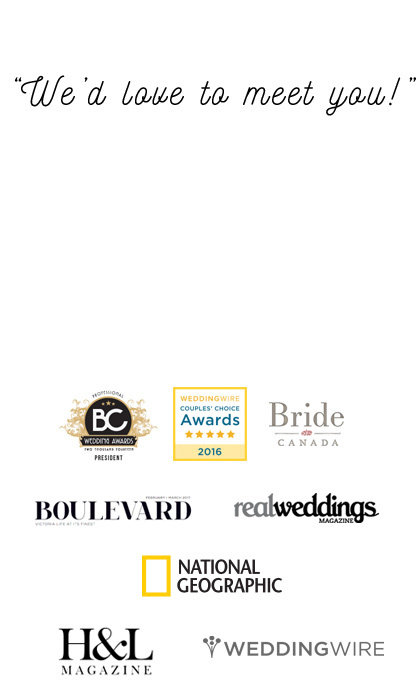 The two of us have photographed several hundred weddings in Canada and Europe. Is photography your main business? 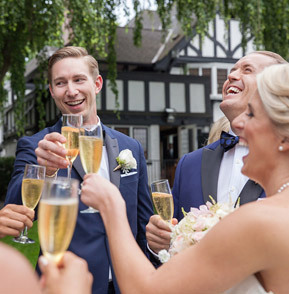 We are both full-time professional photographers – we have to be when you consider that a 10 hour wedding booking with an album can require around 70 hours of work from start to finish. We could never do our 14 day turnaround if we weren’t a full time studio. We have dedicated our lives to creating fine-art, intimate and unique photography for our couples to be enjoyed for a lifetime. We meet with couples at our gallery lounge, located near Granville Island in Vancouver, BC. Meetings are by appointment – get in touch and tell us about your wedding. We promise not to waffle on and on, we simply love meeting new people and sharing useful and helpful tips where we can. Do you work with out-of-town clients? Absolutely! 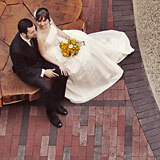 Many of our clients choose to have a destination wedding in BC. 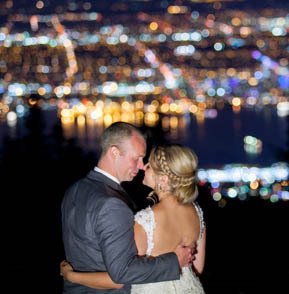 Over the years we have developed many great ways for being able to give our out-of-town clients an amazing experience, making us a fantastic choice for couples travelling to BC for their wedding. We have an out of town wedding. Do you travel? Since the very beginning our style has been full of emotion, natural and comfortable. We create photographs of real, beautiful and artful moments of you and your guests, that are clean and stylish, yet always timeless. 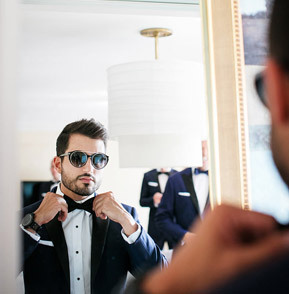 It’s the perfect blend of modern photojournalism and fine art wedding photography. What determines how much we will need to spend with you? All of our packages are based on how much photography time you will require on your wedding day. Many couples choose package options that include an album and engagement session too. After our wedding, when can we expect to see our photos? 14 days after your wedding. 🙂 If you are around Vancouver, then we will welcome you for a Champagne Premiere Night at our Gallery Lounge and you can see your photographs nice and big. You will seriously love this! We’d like to book you or meet with you. What are the next steps? The next step is to contact us with your wedding date. Simply call us at 604.710.2969 or use our contact page. We can set up an in person meeting at our Gallery Lounge. Once you decide to book us, we will create an agreement for your wedding and we’ll look forward to getting to know you! That’s it!